I feel awful and will be staying home from work. Once I finish the season finale of "Grey's Anatomy," I will be reading on the couch. 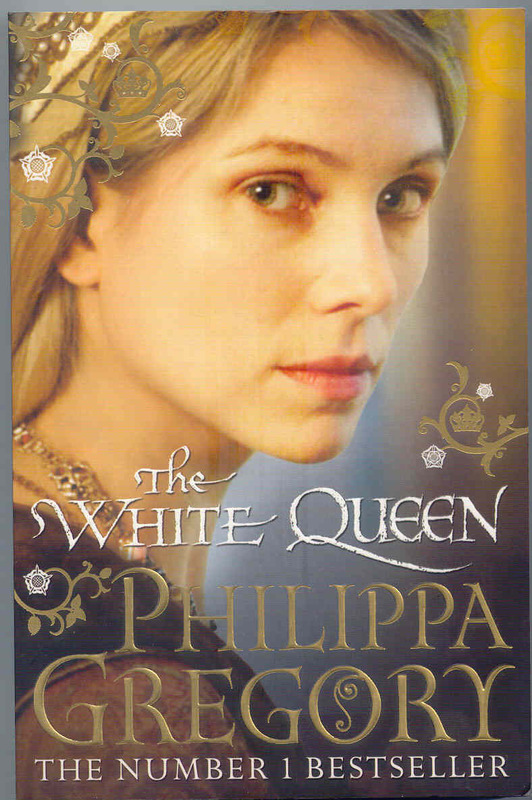 I plan on finishing The White Queen by Philippa Greogory. (Summary via Goodreads.com)In his first book for young adults, bestselling author Sherman Alexie tells the story of Junior, a budding cartoonist growing up on the Spokane Indian Reservation. Determined to take his future into his own hands, Junior leaves his troubled school on the rez to attend an all-white farm town high school where the only other Indian is the school mascot. Heartbreaking, funny, and beautifully written, The Absolutely True Diary of a Part-Time Indian, which is based on the author’s own experiences, coupled with poignant drawings by acclaimed artist Ellen Forney, that reflect the character’s art, chronicles the contemporary adolescence of one Native American boy as he attempts to break away from the life he was destined to live. The reason why I even found this novel in my hand was because it is a required reading for my first summer TESOL course through the University of Cincinnati. I have heard of The Absolute True Diary of a Part-Time Indian before, but it never registered with me to be something I would pick up “next” to read. I am very glad that I did, and very eager for my class to begin, because if this is the type of literature that my professor chooses, then I am in for a great 8 weeks. “Do you understand how amazing it is to hear that from an adult? Do you know how amazing it is to hear that from anybody? It’s one of the simplest sentences in the world, just four words, but they’re the four hugest words in the world when they’re put together. The conflicts that Junior faces are real; there was never a point where I felt that Alexie was “piling on” or becoming overly sentimental or dramatic. This is something that easily could have happened during the death of Junior’s grandmother or his father’s best friend, Eugene, or the overall state of poverty, discrimination, and abuse that exists on the reservation. “When it comes to death, we know that laughter and tears are pretty much the same thing. And so, laughing and crying, we said good-bye to my grandmother. And when we said goodbye to one grandmother, we said good-bye to all of them. Each funeral was a funeral for all of us. 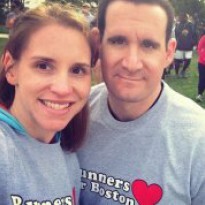 We lived and died together. All of us laughed when they lowered my grandmother into the ground. And all of us laughed when they covered her with dirt. Perhaps it was a combination of preparing for a Shakespearean Unit at school and the Middle Ages setting of The Kingmaker’s Daughter , but I became inspired and my love’s renewal for paperback books emerged. Not realizing that I had chosen the 4th installment in a series, The Cousins’ War, I discovered that I have a new world in the old world’s glamor. When we first learn of castles and royalty, it seems quite romantic; the lifestyle of leisure and glorious wardrobes of flowing skirts and precious gems, however in the ebb and flow of luck and power found in The Kingmaker’s Daughter brings that fantasy to a crushing halt. The 400-page tale of Anne Neville could be come quite overwhelming to someone who is not a professed Historical Fiction reader, yet Gregory was able to tell the tale of a young girl who is used as a pawn in her father’s ambitions and the relentless pursuit of power and titles. As I read, I constantly was pestering my husband, History major in college and current AP World History teacher: “Is this accurate? Was there really an Anne Neville and the house of Warwick? Would the crown change hands this often? Could anyone challenge the heir to the throne? Would men actually bed their nieces?? ?” By the time I finished reading this novel, there was more scandal and drama than four franchises of the Real Housewives series! In order to keep a happy home, I did what every good reader/lazy person does: GOOGLE TO THE RESCUE! Lady Anne Neville (11 June 1456 – 16 March 1485) was an English noblewoman, the daughter of Richard Neville, 16th Earl of Warwick (the “Kingmaker”), who became Princess of Wales as the wife of Edward of Westminster and Queen of England as the consort of King Richard III. As a member of the powerful House of Neville, she was caught up in the Wars of the Roses fought between the House of York and House of Lancaster for the English crown. Her father Warwick betrothed her as a girl to Richard,youngest brother of King Edward IV, then later arranged her marriage to Edward, the son of King Henry VI. After the deaths of Edward and Warwick, she married Richard. She became Queen when Richard seized the crown in June 1483, but died in March 1485, five months before Richard was killed at Bosworth Field. Her only child was with Richard was Edward of Middleham (1473-1484), who predeceased her. Anne died on 16 March 1485, probably of tuberculosis, at Westminster. The day she died, there was an eclipse, which some took to be an omen of Richard’s fall from heavenly grace. She was buried in Westminster Abbey, in an unmarked grave to the right of the High Altar, next to the door to the Confessor’s Chapel. Richard is said to have wept at her funeral. Nevertheless, rumors circulated that Richard had poisoned her in order to marry his niece Elizabeth of York. There was no memorial to her until 1960, when a bronze tablet was erected on a wall near her grave by the Richard III Society. Anne appears in three scenes in William Shakespeare‘s Richard III. In Act I, Scene 2, Richard persuades her to marry him. In Act IV, Scene 1, just before Richard’s coronation, Anne meets Edward IV’s widow and laments her own position. In Act V, Scene 3, Anne is one of the ghosts that appear to Richard. I am completely intrigued to learn more about this woman, Anne Neville, the war between the houses of York and Lancaster, and Gregory’s presentation of this time period. According to Amazon.com, I should be reading the first three novels in the Cousin’s War series anywhere between May 3rd and May 21st.